Rosendale Cafe proprietor Morganstern has hosted a legion of talents over the years. 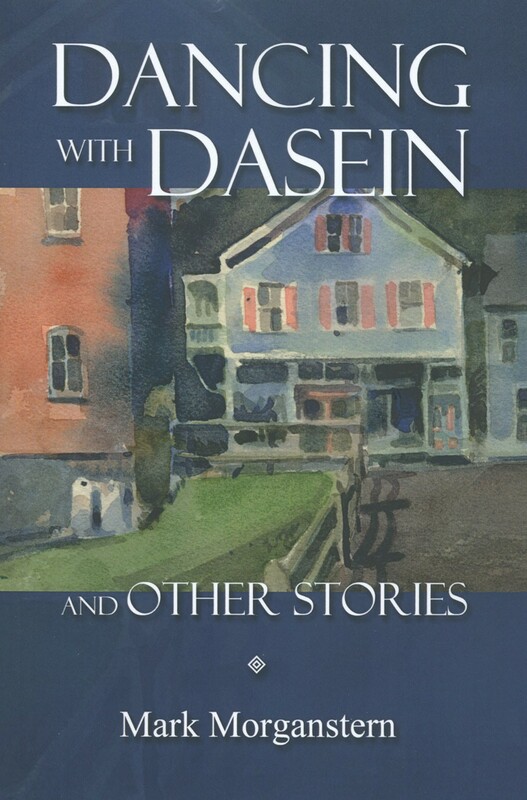 Now he's sharing his own in this multifaceted story collection, steeped in the idiosyncratic glories of small-town life. Morganstern gives good phrase, and his stories display a lively intelligence. "Tomorrow's Special" was awarded an Honorable Mention by Chronogram's fiction contest judge Valerie Martin. Another story's title, "Zen Master of the Hudson Valley," might well apply to its author. Indie Books Award winner Boris's sixth novel begins with an unopened box of magic tricks, left by Christina's departed father. Like Pandora, the spunky Boston waitress can't resist peeking, leading her into a world of street magic and trouble. (Beware of men who reduce you to "Teeny.") Woodstock resident Boris juggles a surprising Korean-American doctor and other deftly drawn characters in prose as agile as Paul Blumstein's delightful cover art. Folk music legend Eli Page is enigmatic, reclusive and more than a little bit cracked. When the Dylanesque fading star taps a drifting young writer and erstwhile musician as his live-in ghostwriter, it doesn't take long for the song to go sour. Upstate debut novelist Belcher modulates his chord changes skillfully. Appearing 1/26 at 7pm, Northshire Bookstore, Saratoga Springs; 1/28 at 7pm, Battenkill Books, Cambridge; 2/15 at 4pm, Bush Memorial, Russell Sage College, Troy. Quinn sets the stakes deliriously high in this final volume of her Gold Stone Girl trilogy, set in a feminist-nightmare dystopian future. The planetary monocontinent is shrinking, and reluctant heroine Mina, gifted with the power of dreaming, is marooned in the land of Disbelief and stalked by the predatory Night Mare. There's imagination and quirky humor for days—talking dresses, male housewives imprisoned by slugs—in this visionary finale to an eye-opening series. Award-winning essayist and fiction writer Ascher weaves a detailed, painstaking, and generous tale of reconciliation among three generations. Elderly literature professor Peter Rosen, a cantankerous German émigré, is injured in an icy fall, and his estranged daughter Marlene is reluctantly called into service. Duty becomes something more textured and loving, with a gay Dominican homecare aide and Marlene's strong-willed biracial son adding drama and depth to the mix. Millbrook journalist and IndieReader Best Book winner Orcutt's third Dakota Stevens mystery finds the irresistible sleuth and his leggy chessmaster sidekick in deep international waters. Renowned sci-fi author E. Conover Wright has disappeared, and his sister is worried. She has good reason: FBI agents, Chinese moles, mobsters, and fracking czars are all on his trail, and the reason is literally out of this world. Orcutt's eco-noir puts the heat in global warming.